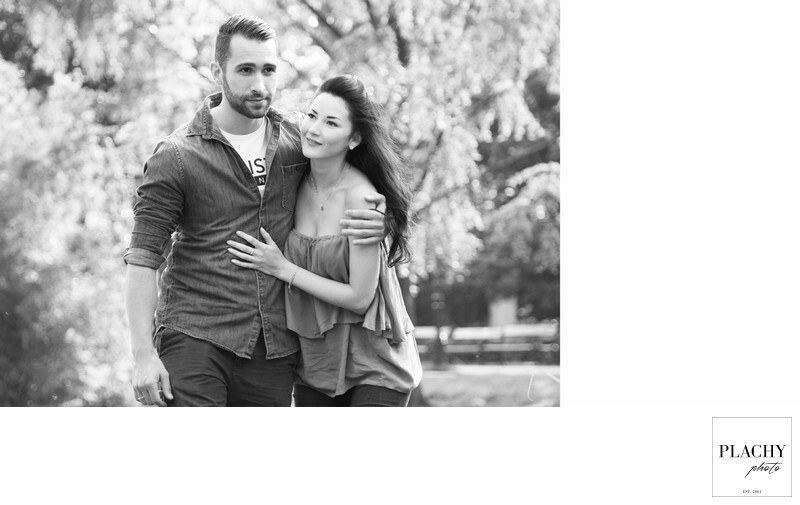 Jasmin and Erik, very nice and beautiful couple.Jasmin won free engagement session in Vienna. We met together in Public Garden Vienna. As a wedding photographer I would love create for them very natural stunning images. Light in the garden was perfect.It was sunny day, no clouds. We found great places with backlights. They walked to me, not looked to camera. When you are not looking into camera, images looks more natural. Lovely background, great light, this is what portraiture and wedding photographers looking for.Public Garden is one of the most beautiful place in Vienna. When we make photo-shooting, we are walking around different places. Find perfect places is not so easy. My recommendation is open eyes and find not traditional place and also try to photograph from different angles. When i find perfect place then i try to capture their natural emotions.And although most engagement photographers do more than show a newly engaged couple in their love story day.Instead, I like to think that both their personalities and their joy come through in the image. Sometimes i forget where we are shooting, we concentrate more how to create great images natural way.